We have been graced with mild temperatures by the El Niño movement this winter season. It is so unusual to be wearing a light jacket so close to the holidays, but complaining won’t get us anywhere. Think of it this way, another day without snow is another day not having to brush off your car or straining your back shoveling. While the winter chill is taking a little longer to reach us, it is inevitable. There will be snow. When the fresh flakes finally fall, do you know how to care for your hardscapes to get rid of the snow but not damage your investment? Most of us don’t want to be out in the cold weather making sure the ice and snow is taken care of just so we can walk on our patio and walkways, so we just toss some rock salt down and go about our business. That is a no-no! 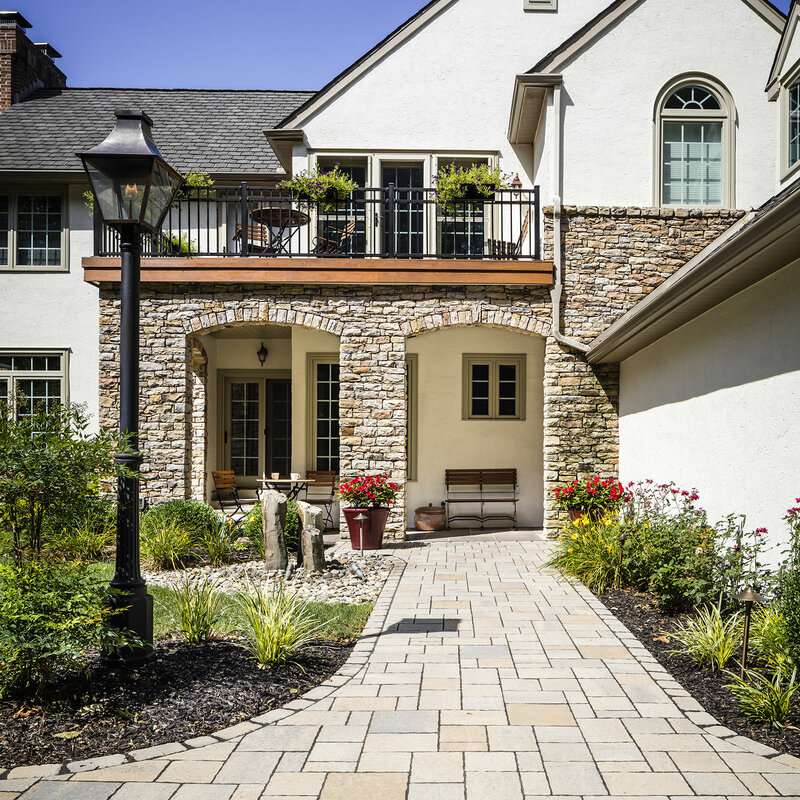 While rock salt works quickly and effectively to deice your paths, it can visually and structurally damage certain hardscapes. 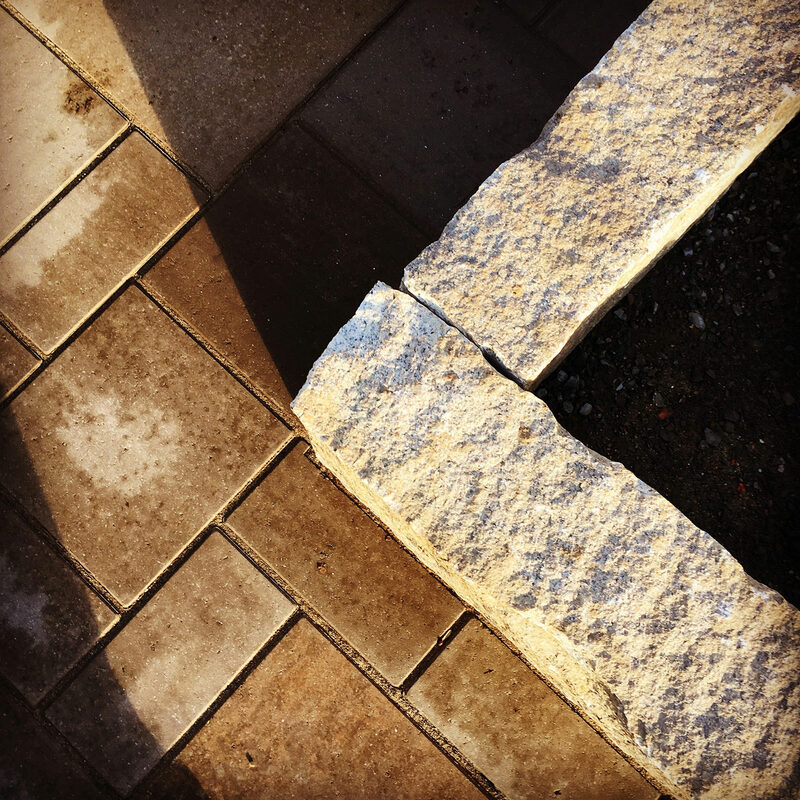 Products like stone pavers are tested with saline solution to prove salt resistance in areas that are guaranteed to see ice and snow, but this does not mean that the pavers are salt proof, they are just labeled resistant. 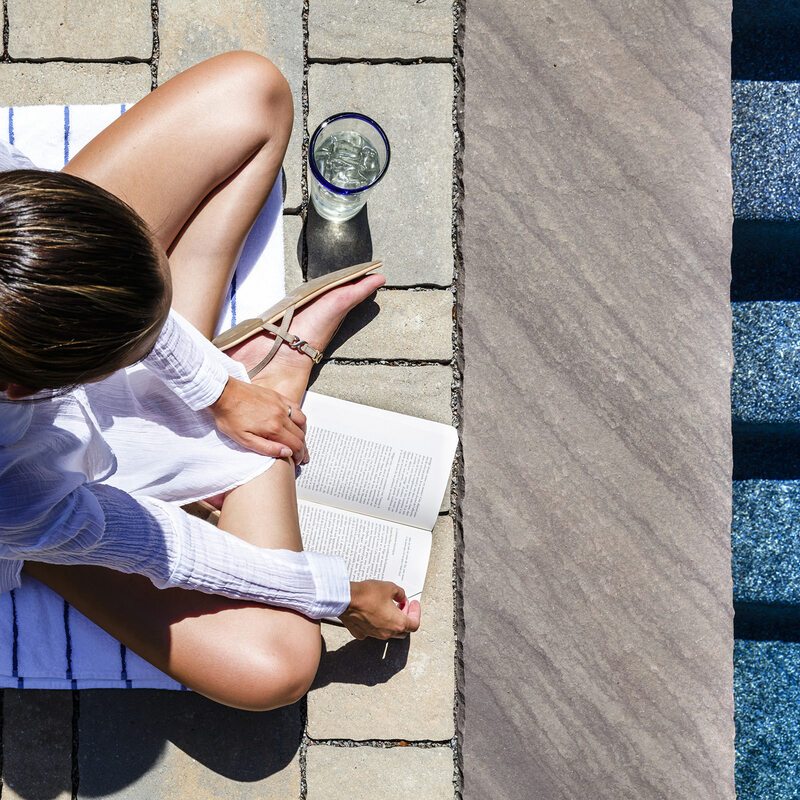 As for stamped concrete, some people might think that since a seal has been applied to the top of the surface, ice melt products won’t harm the concrete itself. This is simply not true. Salt is corrosive and the chemical components of most ice melts can be harmful and damaging to your investment by deteriorating the surface. 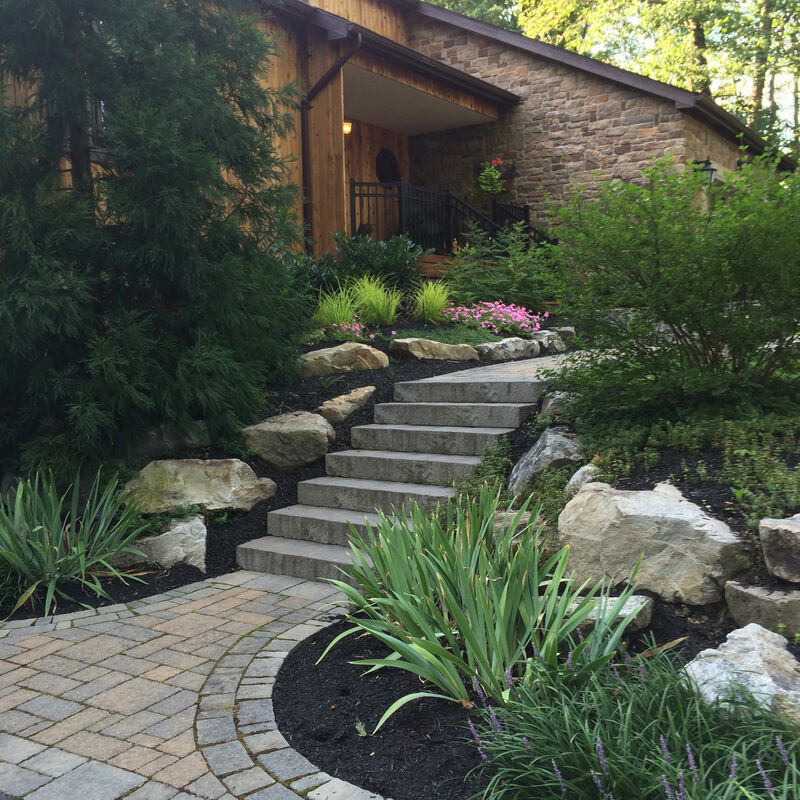 When the wintry mix has come to a halt, start off by shoveling your hardscapes. We recommend shoveling with plastic shovels instead of metal because it decreases the chance of scratching your hardscapes. 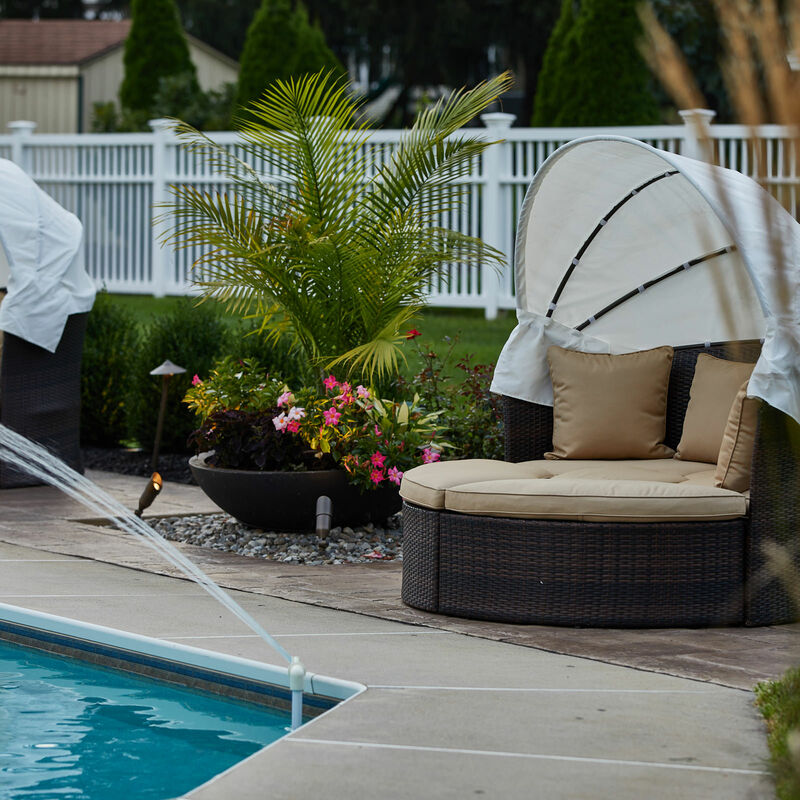 The same theory would go for snow blowers, make sure that the blade is set high enough not to disturb the hardscape because it will leave scratch marks that you will see all year-round. 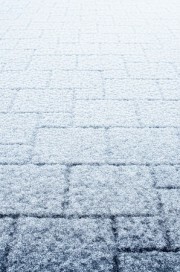 Once the areas are clear of the heavy stuff, if you are adamant about using a deicing agent, use a product that is labeled a concrete and paver approved mixture. 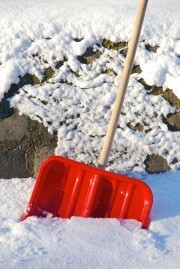 Once the ice has been broken up, take that plastic shovel and go to town, don’t let the deicer sit on your hardscape. This extra step is precautionary, but you will thank yourself in the long run. 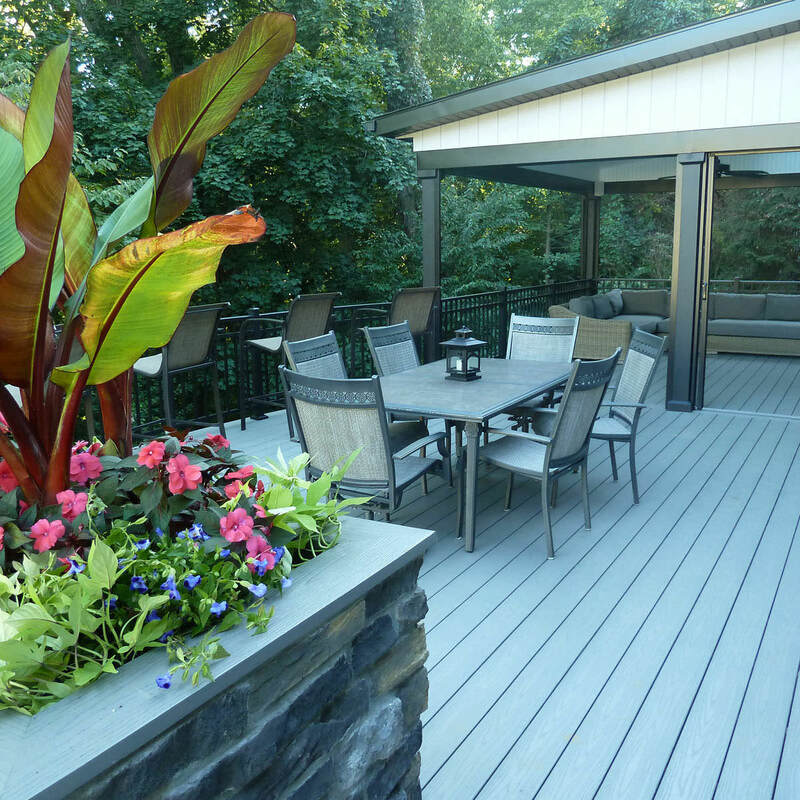 If you would like to avoid the headache of finding products that will get rid of the ice but leave your hardscapes looking like the day they were installed, there are alternatives. You can spread sand over the icy surfaces instead of those bagged hazardous chemicals. While the sand will not melt the ice, it will give you a layer of traction to walk from your front door to the mailbox. Sand is also pet safe! Kitty litter will also work in a pinch as well, just make sure it is fresh and clean litter! 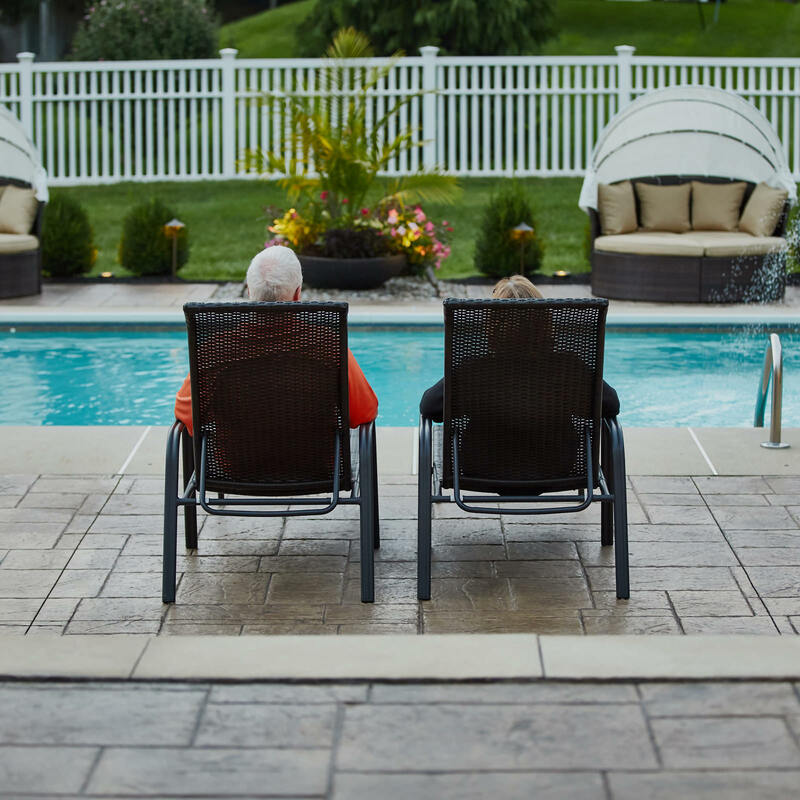 It all comes down to being educated when protecting your investments. 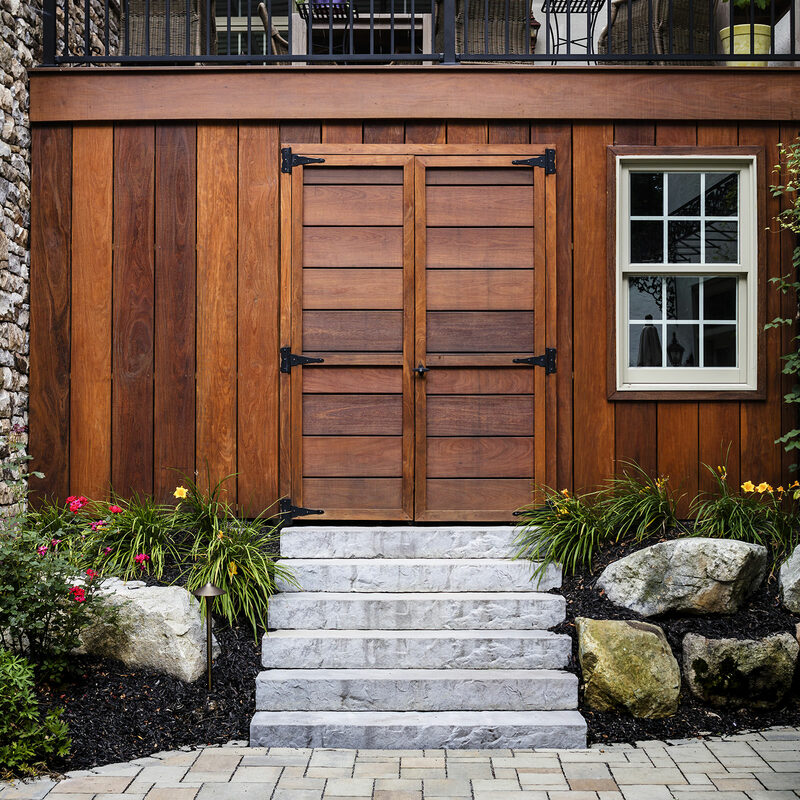 Whether your hardscape is composed of stamped concrete or stone pavers, we must guard these surfaces from the damage that comes along with the winters we are all so familiar with. 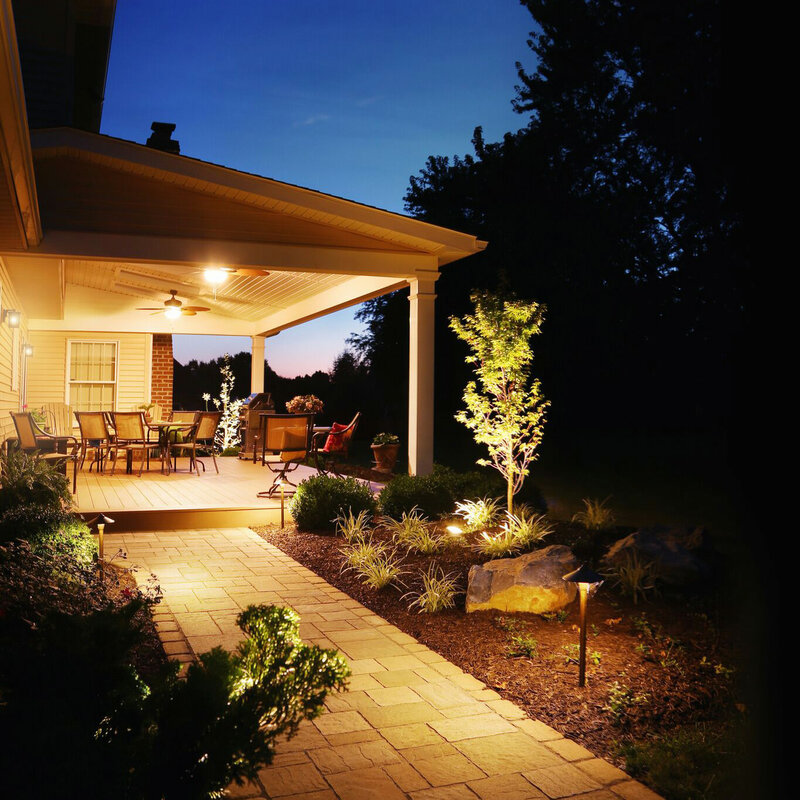 Following these simple guidelines will keep the integrity of your hardscapes in check so you won’t have to wonder what will greet you when the spring rolls around. 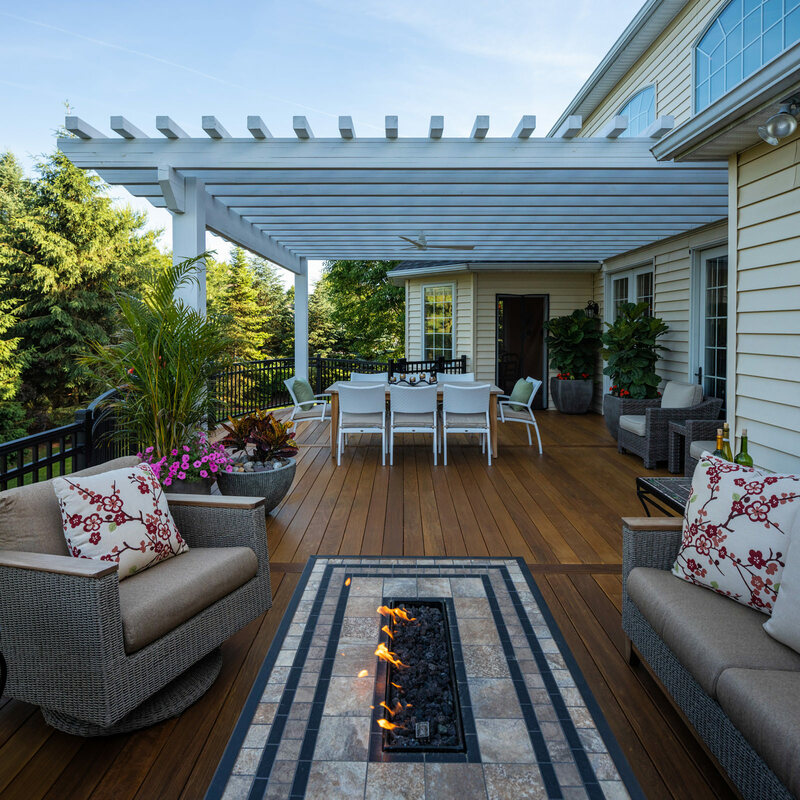 If you find yourself scratching your head over other winter maintenance issues concerning your outdoor living spaces, reach out to MasterPLAN Landscape Design…we are here to help!